If you’re looking for a totally legal way to get free TV and movies, the FilmRise Kodi addon is one of the best places to find it. 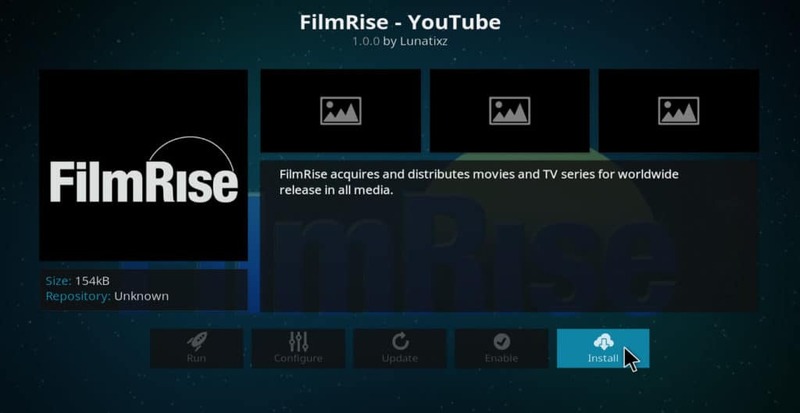 This article will explain how to install and use FilmRise for Kodi. 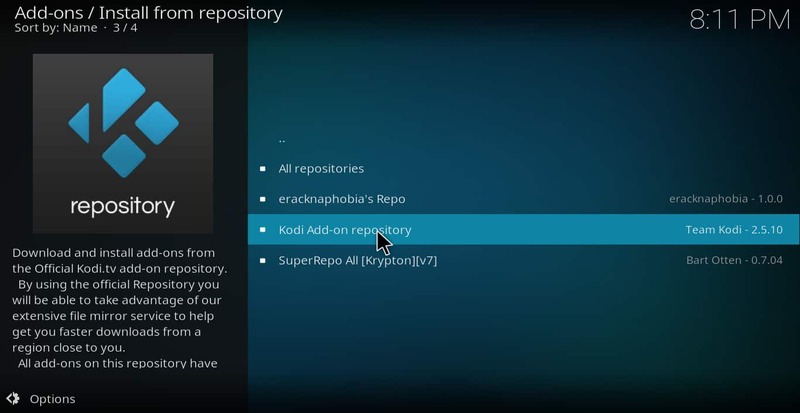 Kodi is a media player that can be downloaded for free from the Kodi Foundation. It can be installed on all of the popular TV devices, including Apple TV, Amazon FireStick, and Nvidia Shield. In can be used on Roku by mirroring the screen of an Android or iOS phone. 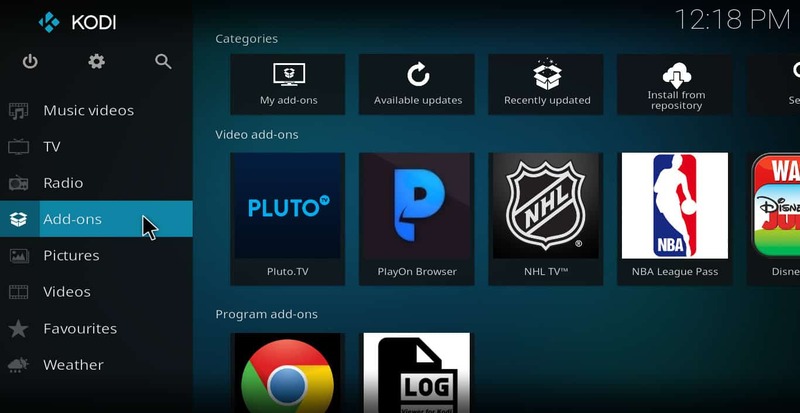 Kodi is sometimes accused by the media of being a tool to stream unlicensed content. However, there are a lot of Kodi addons that only stream from authorized sources, including the FilmRise addon this article discusses. SEE ALSO: 14 of the best Kodi addons for TV and Movies. When people use Kodi to stream unlicensed content, they generally make use of a VPN to keep their activities secret. This sometimes causes VPNs to be associated with such activity. But everyone who streams video should use a VPN to protect their privacy and security, regardless of what type of content they are watching. Using a VPN allows you to stop buffering caused by ISP speed throttling, MiTM attacks by malicious programmers, and geographic content-blocking by streaming services. It keeps nosy intruders out of your video-streaming life and allows you to enjoy your videos hassle-free. Unfortunately though, many VPNs are less effective at protecting your privacy and security than they should be. Quite a few of them keep logs of users’ activity, leaving a trail for attackers who wish to gain access to your data. Some VPNs also don’t have enough servers to handle the traffic of their subscribers, leading to buffering problems all over again. And many VPNs are laborious to install, possessing no native apps for the most popular TV devices. For these reasons, we recommend IPVanish for Kodi users. IPVanish has over 950 servers in 60 different countries, keeps absolutely no logs of user’s activities, and has a native app for both the Amazon FireStick and Nvidia Shield. 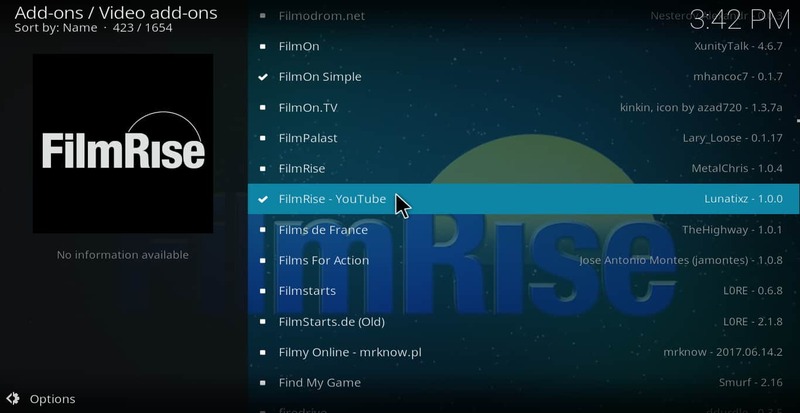 There are several different versions of the FimRise Kodi addon available. The one I am going to focus on for this article is called FilmRise – YouTube and is available in the official Kodi repository. This addon gives you access to movies and television shows from the official YouTube channel of FilmRise, a movie acquisition and distribution company with rights to many popular titles. Once you’ve got the FilmRise addon installed, using it is as easy as clicking open from the addon’s information screen. The first time you try to play any videos, you’ll be prompted to ask for your language and location. After you’ve entered it the first time, you won’t be asked for this info again. The content is divided into 33 different categories, each of which can be accessed from the main menu. Here is a list of a few of them, along with some notable titles that can be found within each category. This section contains many popular TV shows, including Unsolved Mysteries, Forensic Files, The Big Comfy Couch, and World of Discovery. When you first open this selection, there are a lot of Unsolved Mysteries episodes to browse through before you can get access to any other shows. But don’t despair, just keep clicking Next Page until you see the show you want. This category contains all of the episodes of Forensic Files in a separate menu, preventing you from having to rifle through other shows just to find this one. It also has a submenu called playlists that allows you to play an entire season. This is a grab-bag category containing films of many different genres. Like the Forensic Files selection, the movies category contains a submenu called playlists. 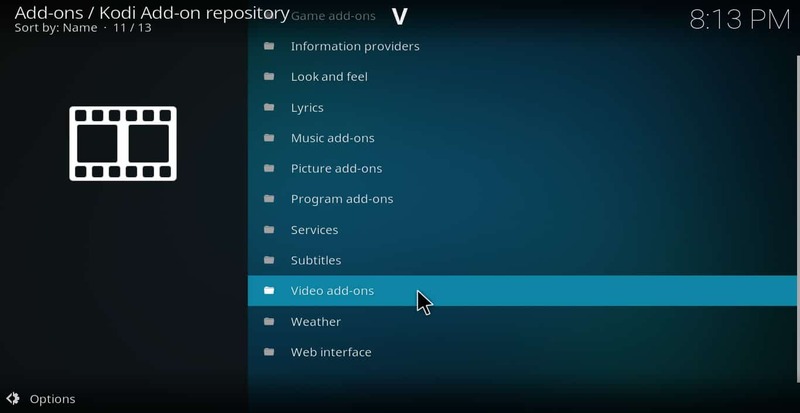 Clicking this option will produce a list of different movie genres, including one called Popular Movies that lists all of the top films available from the channel. Right-click any of the playlists and select Play all to start binge-watching a category of movies. This category contains many different kinds of historical documentaries. It includes several feature-length films about the U.K. royal family, including Elizabeth at 80: Continuity and Change, William & Kate: A Year On, and In The Name of Love: The Life and Death of Princess Diana. It also includes entire seasons of TV shows focused on history, such as Secrets of War, Heaven on Earth, Treasure Islands, and Sea Hunters. If you’re in the mood for a fun B-rated horror movie, this is the place to look. This category contains such gems as Sucker: The Vampire, Coffin, Klown Kamp Massacre, and Doomsday County, amongst others. This category contains trailers of upcoming FilmRise movies that have not been released yet. It’s useful if you want to plan out movies to see in the future. A wide variety of kids shows and movies are available in this category. It includes feature films like The Mystical Adventures of Billy Owens, Always Will, and Gene Fusion, along with shows like The Toxic Avengers, BBC’s Young Dracula, and The Big Comfy Couch. This selection offers movies from the FilmRise Fear channel. It includes some of the same movies from the Horror channel but also has unique titles of its own. Campy horror films like Decampitated and Crazy Animal dominate this category. If you’re looking for a more serious film, It also includes ones like Dracula Reborn and Conspiracy of Fear. This selection allows you to see classic WCW matches from the 1980’s, along with matches from independent leagues such as the Urban Wrestling Federation (UWF) and Women’s Extreme Wrestling (WEW). It also has a series called Wrestling’s Bloodiest Wars in which participants cut each other with glass and other sharp objects. 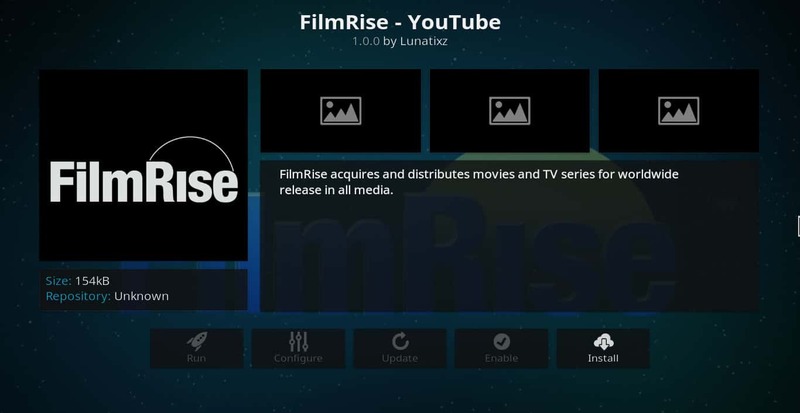 If you enjoy nature documentaries, the FilmRise Kodi addon has plenty of them in this category. Included are series’ like Big Stuff, Africa From The Ground Up, Animals in Danger, and Lost Animals of the 20th Century. This category contains U.K. and Irish shows and movies. All four episodes of Amber, a miniseries set in Dublin about a teenage girl who goes missing, are available here. Both seasons of The Ambassador and many U.K. films are also available. Read more: How to watch BBC TV out the U.K.
Clicking on this category will take you to a menu that contains episodes of Fish Trails, a show for fishing enthusiasts. You can watch all four episodes individually or set all of them to play by clicking on the playlist button and choosing Fish Trails: Season 1 from the submenu. 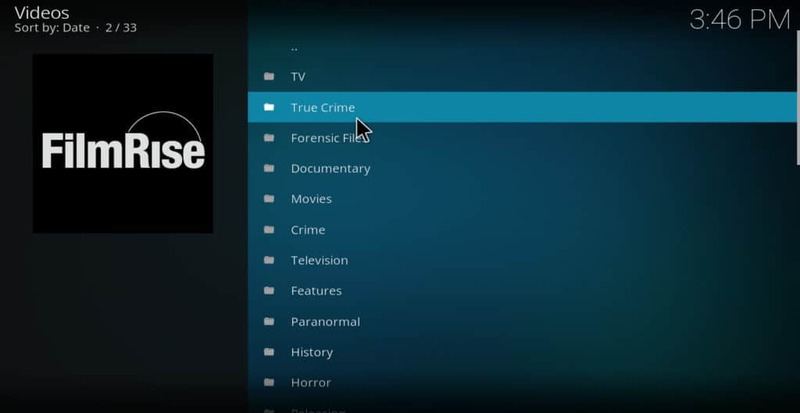 Along with the categories already mentioned, there are many others geared to various niches, including True Crime, Documentary, Features, Cinema, Flicks, Medical Detectives, and others. If you’re not interested in the content already mentioned, browsing through these categories will probably bring up something you can enjoy watching. Despite the huge library of content available with the FilmRise Kodi addon, my testing did reveal one problem with it. Some of the FilmRise movies are age-restricted on YouTube. This would not cause a problem for most readers if they were viewing this content on the YouTube website, as they would probably do so while logged in to YouTube. However, the FilmRise – YouTube Kodi addon does not allow users to enter their login info, so there is essentially no way to use it to watch age-restricted videos. If you see an age-restricted movie in the FilmRise addon that you would like to watch, I would recommend using the YouTube Kodi addon instead. The YouTube addon is more cumbersome to use when browsing the FilmRise catalog, but in this case it’s the best option available. If you’d like to get access to a huge catalog of free movies and shows, the FilmRise Kodi addon is a great way to do it. 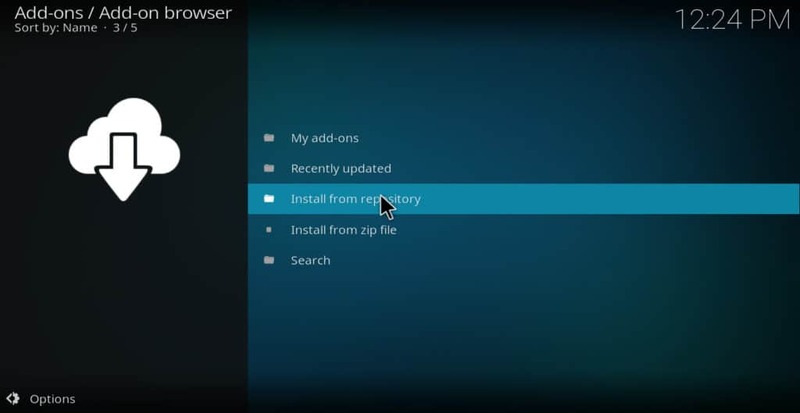 Follow this guide to install and use it.